The IRS requires that individuals and businesses document and report payments to other individuals and businesses throughout the tax year on IRS Form 1099. The 1099 helps the IRS track taxable income that exchanges hands between people and businesses that are not in an employer-employee relationship. U.S. law requires payers to adhere to specific requirements when distributing 1099s each year. Payers must obtain an IRS Form W-9 from each individual payee to whom they pay money throughout the tax year. At the end of the tax year, payers must complete Form 1099 and send it to both the payee and the IRS. The IRS has a series of 1099 forms designed for reporting specific types of payments - including 1099-INT to report interest income, 1099-DIV for dividends, 1099-C for debt cancellation, SSA-1099 for Social Security benefits, 1099-MISC for miscellaneous income, and a host of other forms for various types of payments. Furthermore, payers must print and send the 1099s on an IRS-approved scannable red form obtainable through a CPA’s office. Payees may also order the forms at IRS.gov or by calling 1-800-829-3676. Payers have only until Jan. 31 of each year to mail 1099s to payees. Payers must also file a copy of all 1099s with the IRS within the specified time frame, which is subject to change from year to year. For example, payers must file 2011 tax year 1099s with the IRS no later than April 2, 2012 if filing electronically. Payers who wish to file on paper must do so by Feb. 28, 2012. 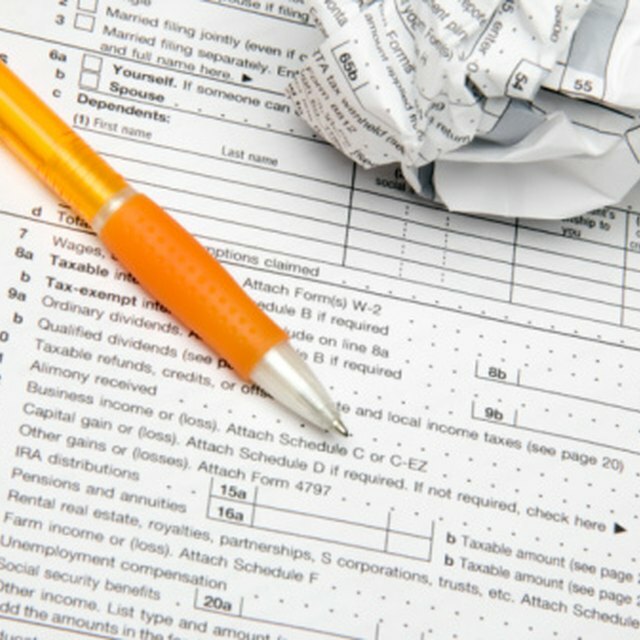 The IRS offers 30-day extensions, however, for payers who file Form 8809 before the due date. Payers do not have to file or send 1099s for all outgoing business-related payments. For example, most payments, such as work performed by an independent contractor, must exceed a $600 threshold for the tax year to require a 1099. However, the IRS makes an exception for royalties, of which payees must file and send a 1099 for just $10 or more in annual payments. Do Sole Proprietors Give Themselves a 1099? In 2010, Congress passed a law that required rental property owners to file and send 1099s to service providers and contractors for payments of $600 or more for services related to the management and upkeep of rental properties. However, just one year later, Congress repealed the law, which in turn reinstated old laws that do not require rental property owners to file 1099s. Payees who miss the deadline for filing and sending 1099s will incur a late penalty of $30, $60 or $100 per late form. The amount of the penalty depends on the extent of tardiness. Failure to send the 1099s altogether, however, could result in fines of thousands of dollars. The IRS also charges $50 for failure to send 1099s on the correct scannable paper.